If your Windows 10 installation is corrupted, you can usually repair it by using the sfc /scannow command, but if the sfc scan can’t fix the problem you can always use DISM. Sometimes DISM process can fail, and today we’re going to show you what to do in case that happens. DISM failed, what to do? DISM failed no operation was performed – This is a relatively common problem with DISM. 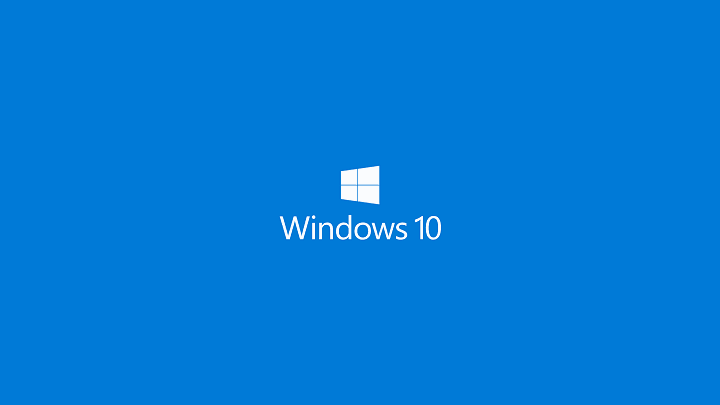 However, you might be able to fix the problem by performing the DISM can using the Windows 10 ISO file. DISM failed to load the provider, to unload offline registry, to flush file buffers, to set the windows directory, mount the image – These are some common problems that you can encounter with DISM scan. However, you should be able to fix most of them using our solutions. DISM failed 0x8000ffff, 0x800f0954, 0x800f081f – If you’re getting any of these errors, try copying the install.wim file from Windows 10 ISO and use it to perform a DISM scan. DISM failed while processing command cleanup-image, add-package – These are some common problems with DISM, but they can be solved using one of our solutions. DISM failure when attempting to copy boot files – This is another common problem with DISM, but you might be able to fix it by cleaning up system image components. Dism.exe failed validating command line, to load wim manager – If you’re having any of these problems, restart Windows update components and check if that helps. In some rare instances, this problem can be caused by your antivirus. Your antivirus can interfere with your system and cause this problem. If DISM failed on your system, you might be able to fix the problem simply by disabling certain antivirus features or by disabling your antivirus altogether. If that doesn’t help, you can try removing your antivirus. Once you remove your antivirus, repeat the DISM scan again. If removing the antivirus solves your problem, you should consider switching to a different antivirus software. 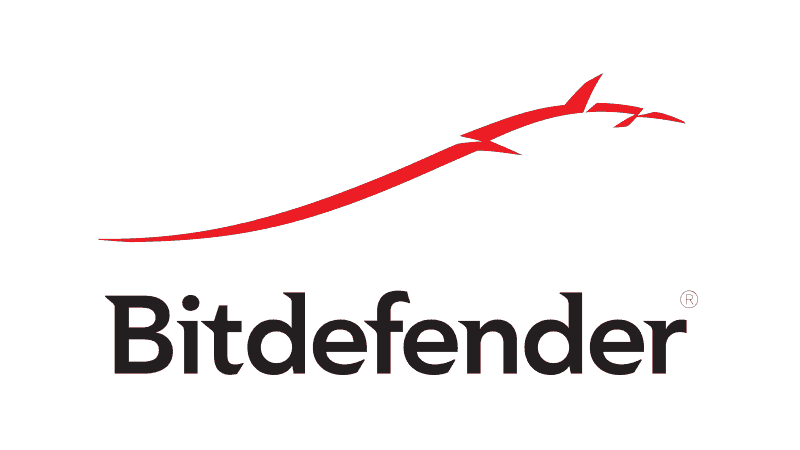 There are many great antivirus applications on the market, but if you’re looking for an antivirus that won’t interfere with your system, we suggest that you try Bitdefender. 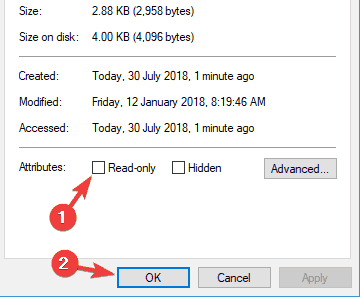 If DISM is giving you “Can’t find source files” message, you need to mount Windows 10 ISO file and specify the location of the Install.wim file. To specify the location of the file, just enter the DISM /Online /Cleanup-Image /RestoreHealth /source:WIM:X:\Sources\Install.wim:1 /LimitAccess command in Command Prompt. Bear in mind that you need to replace X with the letter that matches the drive where Windows 10 ISO file is mounted. Few users suggested that you can fix this problem by copying the Install.wim to the root directory of your hard drive. To get Install.wim file, just download Windows 10 ISO, mount it and locate Install.wim file. After copying the Install.wim file, be sure to enter the correct location of the Install.wim file before running the DISM scan. Also keep in mind that DISM command is case sensitive, and users reported that entering install.wim instead of Install.wim caused the DISM to fail, therefore be sure to enter the correct file name before starting DISM scan. Few users also reported that DISM doesn’t support spaces in source location, so be sure to that the containing folder doesn’t have any spaces in its name. When Command Prompt opens, enter Dism.exe /online /Cleanup-Image /StartComponentCleanup and press Enter. If you’re still having issues on your PC or you simply want to avoid them for the future, we recommend you to download this tool (100% safe and tested by us) to scan and fix various PC problems, such as missing or corrupted files, malware and hardware failure. According to users, sometimes DISM problems can occur due to Windows Update issues. If DISM failed to complete or run on your system, you might be able to fix the problem by running Windows Update troubleshooter. Navigate to the System & Security section. Choose Troubleshoot from the menu on the left. In the right pane, select Windows Update and click Run the troubleshooter. Once the troubleshooter is finished, try to run DISM scan again and it should be able to complete. As already mentioned, problems with DISM can be caused by Windows Update, and if DISM failed to complete on your PC, the problem might be Windows Update services. However, you can fix the problem simply by resetting Windows Update services. After these commands are executed, Windows Update components should be restarted and the problem will be resolved. If DISM failed to complete or run on your PC, the problem might be your proxy. 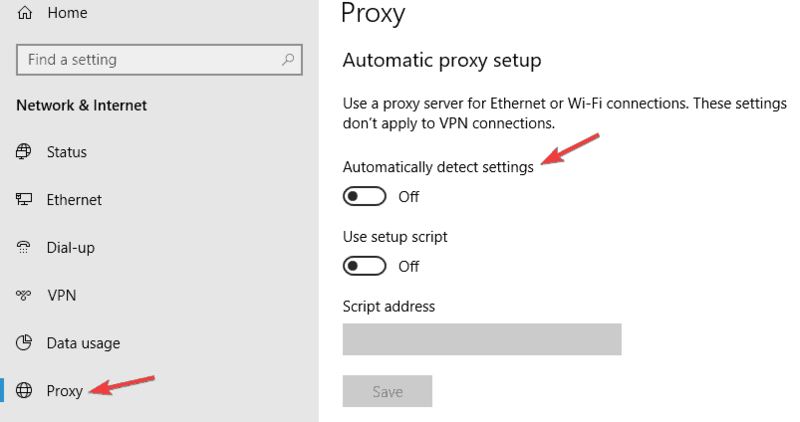 Many users use proxy to protect their privacy online, but sometimes your proxy can interfere with your system and lead to this and other issues. Open the Settings app and go to the Network & Internet section. Select Proxy from the menu on the left. In the right pane, disable all settings. After disabling your proxy, check if the problem is resolved. Although proxy is a great way to protect your privacy online, many users prefer using VPN over proxy. If you want to protect your privacy online, and you’re looking for a good VPN, we strongly suggest that you consider CyberGhost VPN. Many users copy the install.wim file from Windows 10 installation ISO in order to run the DISM scan offline. However, several users reported that DISM failed because the install.wim file was set as a read-only file. Locate install.wim file on your hard drive, right-click it and choose Properties. 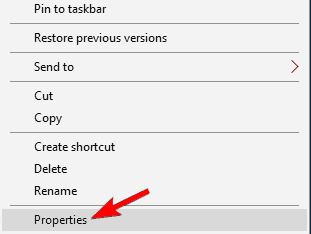 When Properties window opens, make sure to uncheck the Read-only option. Now click Apply and OK to save changes. After making these changes, try to run DISM scan again. Now select Upgrade this PC now option. The setup will prepare the necessary files, so you’ll need to wait. Follow the instructions on the screen. On Ready to install screen click Change what to keep option. Follow the instructions on the screen to complete the in-place upgrade process. Once the upgrade process is finished, you’ll have a fresh installation of Windows 10 and your problems should be resolved. DISM scan can be used to fix corrupted Windows 10 installation, but even DISM scan can sometimes fail, and if that happens, be sure to try some of our solutions.